The 71st annual Big Bass Rodeo and Fishtival will be held tomorrow in New Orleans City Park, once again featuring a Battle for the Bass student tournament and a Boats on the Bayou non-motorized competition on Bayou St. John. The Big Bass Rodeo is a catch-and-release tournament for anglers targeting the largest bass. For junior anglers (ages 12 and under), the rodeo includes competitive categories for heaviest bass and heaviest cichlid, bream or perch. The Battle for the Bass is back again for its third year to encourage a fun and friendly school competition. Students in grades 7 through 12 will represent their respective schools in teams of up to five anglers, and will battle it out for the heaviest two-bass combined weight. The winning team will take home bragging rights for the year, as well as a 3-foot trophy to display at their school. The Fishtival will take place from 9 a.m. to noon in the grandstand area in front of Morning Call on Dreyfous Drive in City Park. The event will feature music, as well as educational and hands-on activities for kids. Event raffle prizes include a kayak donated by Academy Sports and Outdoors, charter fishing trips, along with tons of fishing gear and other items. 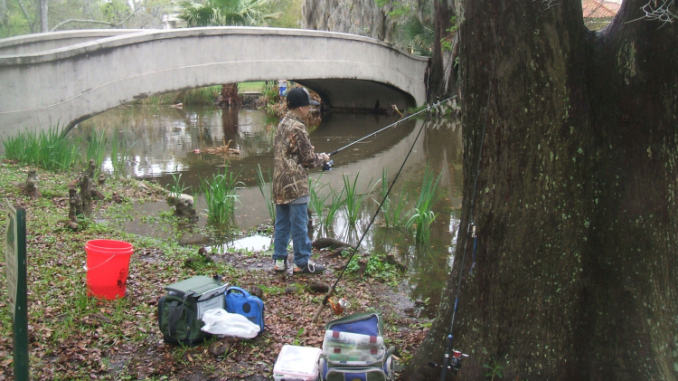 A recreational fishing license is required for participants 16 years and older.